Aggressively attacks expression lines around the eyes, mouth and forehead. 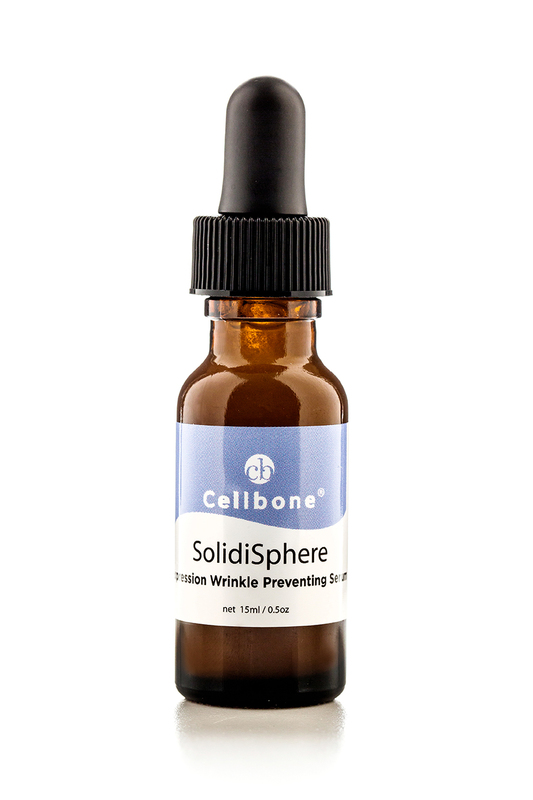 Solidisphere Expression Line Removal Serum is formulated to reverse the effects our own facial expressions have on our skin. Smiling, frowning, laughing all pull and stretch the skin and over time, the skin cells begin to lose their elasticity and create lines. These lines are especially noticeable around the eyes, forehead and mouth. 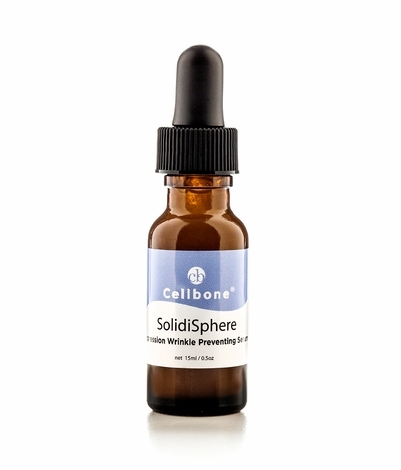 Solidisphere specifically targets these areas to remove crow's feet and laugh lines by stimulating collagen production, inhibiting damaging properties and maintaining moist, supple skin. Apply a few drops in the crow's feet area twice daily..